Ancient history interrupts everyday life everywhere in Rome, sitting alongside roadways, holding up construction of new train lines, tangled in the foundations of Renaissance buildings. Centrale Montemartini feels like a reversal of this trend. The disused power station was refitted for the display of a portion of the Capitoline Museum collections, which was mostly in storage (a familiar story). Remains of art and domestic spaces from Roman times were relocated inside the first industrial electricity generator in Rome, displaying both ancient and modern history simultaneously. The refit was designed to keep the industrial and ancient histories, objects and aesthetics separate. As if this was possible. 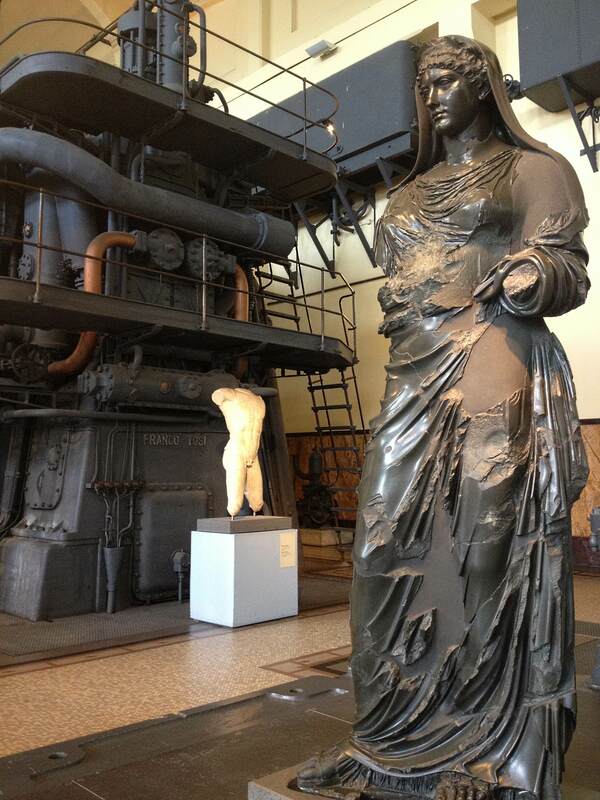 Here the Roman and Greek portraits sit among and witness the Industrial Revolution. I imagine some of the portraits appear startled by their new surroundings, although in reality their expressions suggest they knew it was coming and inherited it themselves in some strange twist of historical influence. I remember walking along a street and seeing a Doric column interrupting a shop’s façade and thinking it was one of the funniest things I’d seen. Yet despite the Pantheon and Colosseo, I felt it was also the most potent symbol of the legacy of Ancient Rome. I miss Roma!